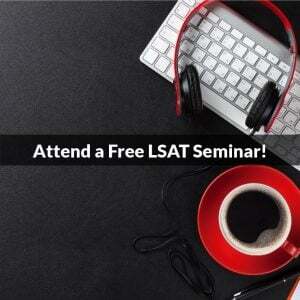 You are here: Home / LSAT Prep / Which LSAT Should I Take? Which LSAT Should I Take? It’s a new year for test takers, with people gearing up for the coming summer and fall exams, and as part of that process I hear this question constantly: “Which LSAT should I take?” Fortunately, if you’re asking this question now you’re in great shape—it means you’ve begun preparing (or at least begun planning to prepare) really early, and should have plenty of time to reach your goals by the September test date, if not by June. So congrats there! And while it doesn’t really matter which of the remaining three LSATs you attempt this year so long as your score is where you need it to be, it is nice to know the advantages and disadvantages of each. So here are my thoughts—most wholly objective, a few less so—on the four LSAT administrations, beginning with the next up, June. Boy, do I love the June test. This is far and away my favorite LSAT, and not just because it’s given on a Monday afternoon instead of a painfully early Saturday morning like the other three. No, even though that’s all I need to prefer it, June offers much more than just a chance to sleep in. One of the greatest benefits of testing in June is that it allows you to submit your applications at the very beginning of the admission cycle, meaning you can get out in front of the crush of post-September/October applicants and capitalize on the time-sensitivity of rolling admissions. Let me clarify. Most law schools use a “rolling admissions” process, wherein candidates are considered and seats are filled as applications “roll in,” and thus by applying early you have the least amount of competition for the greatest number of available spaces. Making the cut early, when schools are looking at empty rooms and needing to fill more seats, tends to be easier than doing so late, when a whole host of qualified contenders are still in the mix and the admissions committee has only a handful of spots left to fill. To be fair that’s more generalization than gospel, as applying late with outstanding credentials still trumps an early app with marginal stats. All things being equal, though, applying early is unequivocally better, and June lets you do just that. 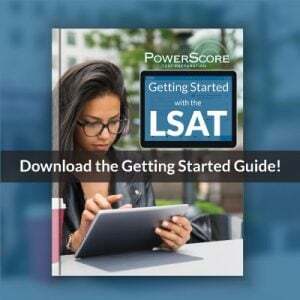 Taking the June LSAT still gives you a few months to polish your application—from resume to personal statement(s) to letters of recommendation—before you submit it even if you intend to apply the very first day schools allow it, and also means that if things don’t go as well as you’d hoped you have a tremendous time cushion for your retake. There’s a strange aversion to June that some test takers seem to have acquired over the years, where two beliefs, one a misconception and the other a misinterpretation, have biased people against it. My adoration for June compels me to address both. First, June has gotten an ill-deserved reputation as a test for the well-prepared. I hear it occasionally, albeit far too often, as, “aren’t most of the test takers in June over achievers who’ve done a lot of work to be ‘first in line,’ and doesn’t that mean the test will be harder to account for [to offset] them?” No. NO. The June test is administered a bit differently with its Monday afternoon timing, but content-wise it’s the absolute same as all the rest. I’ve been over this before, and nothing has changed since. Second, people fear that June is the test when alterations or outliers are allowed, so it’s somehow less predictable than the others. There’s just enough precedent here to imbue this myth with credibility. Consider: June 2007 was the first LSAT with Comparative Reading passages; June 2007 was also the first LSAT where the experimental section was no longer the same for every test taker; June 2012 was the first LSAT with two pages for each Logic Game. But aside from Comparative Reading which was announced well in advance, the “changes” either didn’t matter (experimental section variability) or were a bonus (two pages per game). There’s never been a June “surprise” where the test changed in some significant and detrimental way, and frankly the word “surprise” itself overstates the magnitude of what June testers have seen. The only real downside to June is that it’s a summer test, a season that can be difficult for undergraduates to devote to studying as they’re often working or otherwise distracted. Fortunately my fandom finds itself in excellent company, as my colleague Nikki has very convincingly demonstrated in a prior pro-June post. Start studying. Shoot for June. Titling is a little dicey here, since sometimes the “October” LSAT (as people usually call it) is given in late September (2016, for instance, although not 2015), but either way this is also a great LSAT to take. And students clearly agree: this has been the most popular test date of the four ever since 1989, when December just barely edged it out. To put it in perspective, during the LSAT’s banner years—basically all of the 2000s (the “aughts,” a word I never liked)—October outpaced December in test taker volume by an average of about 10,000 people, or roughly 20-25%. Why? And what does this mean for you? My suspicion about its popularity is that it’s the first LSAT of the school year, and thus attracts a significant number of undergraduates who are back in full-bore study mode (or who’ve spent the summer prepping solely for the LSAT). It’s also the first LSAT that occurs during the application period, so naturally it receives a certain heightened attention. But let’s be clear, it’s not more popular because it’s easier, in content or scale. Content-wise the LSAT is the LSAT is the LSAT…take yours when you’re most likely to be successful, that is when your practice test scores consistently reflect a satisfactory performance. So taking the fall LSAT is an excellent option if you’re not ready by June, but it may cause some inconvenience since test centers tend to fill up quickly. So sign up early! This is the last of the big ones, as the December LSAT is the final administration guaranteed to grant next-year acceptance into every law school (more on that in a second). It’s also the second most popular LSAT of the four. The only real point to make about December is that it’s somewhat late in the cycle, and this is a concern for some people for two reasons: it may be the last test their school will take (valid, but increasingly uncommon), and it puts you deep into the rolling admissions game (invalid, and I’ll prove it). The “last chance” concern is legitimate, but only because a retake after December truly does put you pretty late in the cycle, and that’s assuming your school of choice takes February at all. I encourage people to prepare as though the new year was a deadline, and everything needs to be squared away by then. So treat December as a last chance, meaning you feel completely ready for either June or September, and December is a safety net, hopefully unused. That said, let me preemptively, since I’m about to address February, talk about where December really is your last shot. Here is a post from a few years back listing the schools that accept scores beyond December, and allow me to note that the number has only grown since then. Truth is, schools are hurting for applicants at the moment so imposing an arbitrarily premature deadline on themselves to fill seats is more an act of self-abuse than of prestige or pretension. They want you. A number have even begun considering calendar-year June scores as wait list decision makers! The point, as should be obvious, is that even December these days is less of a penalty than a continued opportunity to demonstrate your worth, and if that means improving a few points from prior attempts this test has a genuine, and undeniable, appeal. Certainly the benefits of a strong December showing vastly overshadow any rolling admissions worries. Lastly, my colleague Dave Killoran wrote an excellent article a few years back about the admissions cycle, and specifically addressed the timing of applications and how schools treat them. Give that a thorough read if you’d like to learn more! This is where things get more interesting. Reason being is that while nearly every school will accept your February scores, there are still some that won’t. The list is shrinking as schools become more desperate for applicants, and that’s a good thing for you, but February is far from universally-allowed. It’s also a dynamic and changing list, so you need to call and ask schools individually. And feel encouraged to be aggressive: as I’ve noted previously you have some negotiating power these days, and you should wield it. But acceptance is the obvious concern about February, and one that’s quickly resolved once you speak to a school directly. What bothers me, aside from the early Saturday start time and likely dreadfully cold conditions, is the fact that it’s nondisclosed: because LSAC retains the test contents to potentially use for future administrations, Feb test takers do not get a copy of the questions, their answer sheet or answer key, or the test scale. A score and percentile is all that’s released for February LSATs, so you’ll never know what you answered correctly or incorrectly, or even how many you missed. Here’s a further discussion of the specifics of a nondisclosed LSAT, and if you really want to investigate February I hosted a seminar on it a while back that explores the exam in great detail (click the link within to launch the session). What February is NOT, or at least doesn’t have to be, is a last-ditch, hail mary situation. Nearly every school will accept it, and if your score in February deserves admission—particularly if it’s an improvement from a prior attempt—you’ll get in. But having seen the toll it takes on peoples’ nerves having to wait (or even having a score without understanding the specifics), I’d strongly encourage you to plan on taking an earlier test. I know it’s a lot to consider, and I also know that even the best plans can get derailed. That’s okay. Simply have a plan, commit to it (and soon! ), and realize that success still allows for some flexibility. And above all do NOT take an earlier LSAT if your scores aren’t where you need them to be: you’re nearly always better off taking a later test if it means your score will be even a few points higher. 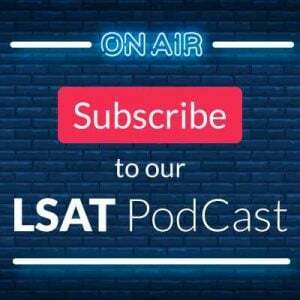 Questions or comments on which LSAT to take? Let us know below, or get in touch at (800) 545-1750! Photo “Jellyfish.jpg” courtesy of Sheila Sund.